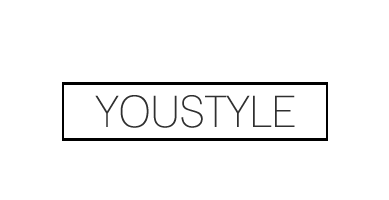 YouStyle | Fashion, Beauty & Lifestyle Blog: China Haul! The first things I picked out were phone cases for my Nexus 5. I noticed that most phone cases for the Nexus 5 in North America were designed to be extremely professional, while, quite honestly, I was just looking for something super pretty and cute. These are the two cases I picked out, and as you can see, I'm already using the Eiffel Tower one. The most unique thing about these phone cases is that they're also a tad bit 3D so you can actually feel the design! I have an obsession with bows. I have no idea where this is from, but I am in love with it and that is all. For the longest time, I was obsessed with using a simple, rustic brown bag of mine. The zipper broke a while back, but I continued to use it, covering the opening with only the top flap. My mom was finally able to find a similar, but smaller, bag that did my old one justice. The bag is made from a super soft and shiny leather material, and overall, the zippers, buttons and stitches all seem to be very high quality. Along with the little buttoned pocket in the front, the back also include a pocket for anything you need to access easily. The inside of the bag includes two separated sections along with an extra zipped pocket in the middle. The back section contains a small zippered pocket for any small valuable items while the front section has little pockets for any accessories or electronics. Finally, this is definitely something that excites me very much. Lately, I've been working super hard on protecting my skin, and now that summer is approaching, I figured that I may need a hat to protect my skin from the sun. Though those huge floppy sun hats are adorable and chic, it is not something you could easily pull off in Ottawa, Canada. Instead, I decided to look for a snapback. The thing is, people usually wear snapbacks with their favourite sports team logos printed on them, but... I'm not a very sporty person. (The only sport I really watch is hockey and my home team never makes it far anyway...) So what's something important and significant in my life? Well take a look around my blog and you'll notice that I live and breathe music. After searching Taobao.com for quite some time.. I finally found it. For those who understand the reference (EXO), this hat is the perfect tribute and signal that, yes, you can fangirl with me. To those who don't, I love how this hat is still super cute and not to aggressively flaunting my internal fangirl. I'll finally be able to motivate myself to stay protected from the sun and put on a hat! Are there any cities/countries that are special shopping treats for you? If so, let me know where they are in the comments!